Electronic Arts is performing another round of "online service shutdowns," taking dozens of multiplayer games and demos offline forever. 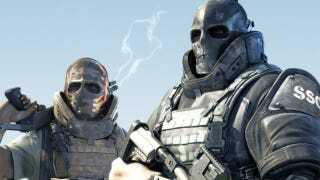 So, if you're still playing Army of Two or Skate online, you won't have the option much longer. The latest round of shutdowns affects games on the PlayStation 3, Xbox 360, PC, Wii and PSP, spanning sports titles, shooters and driving games. The deactivation of EA's online servers for the following games hits in two waves, one in early August, the other in early October. Make peace with the following games. Get the remaining trophies and achievements you need. Say goodbye to your multiplayer pals.